It’s a six furlong handicap that starts it all off on Day 2 of the Craven Meeting and it’s one of the most competitive fields on the day. I’ve had a go on two here the first of these coming in the form of Charlie Hills BREATH OF AIR. He was last seen when finishing third behind San Donato at Doncaster at the back end of of last term, that’s the form of the race and if tuned up will take the beating under Ryan Moore. One at a bigger price that I’ve took a tentative chance on is OBERYN MARTELL. He won a couple of times last term and went on to compete in some hot handicaps, he’ll likely have to step up again here but if he shows the heart and class of his Game Of Thrones namesake he’ll be bang there. On a more serious note, on his best form last term he’s got a decent enough each way chance in an open race. The Wood Ditton is one of the most well known maiden’s in the game as it regularly attracts a field of classy debutants which is no different this time around. The race is headed by UAE Jewel for Roger Varian and Andrea Atzeni and he’ll likely be a warm favourite. I’ve taken him on though at the prices and took a chance on the War Front colt that is AL HADEER for William Haggas and Jim Crowley, he’s related to a couple of winning milers from France which should stand him in good stead in regards to this trip and he could well make a solid debut. There’s a whole host of them that come in here looking very appealing on paper, Christophe Soumillon rides Wild Animal for Saeed bin Surroor and Ryan Moore is on Junooh for Sir Michael Stoute. Owen Burrows and Dane O’Neil teamed up to win this last year and they saddle Damlaj. 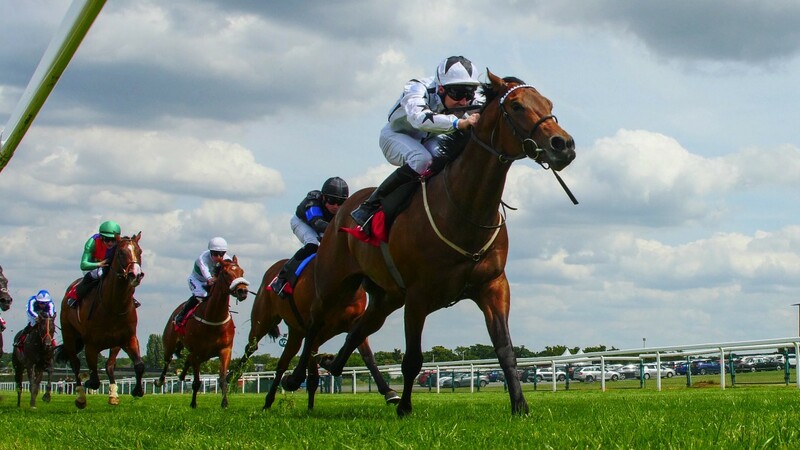 One of the feature events of the meeting is the Abernant Stakes which is a Group 3 race over six furlong and this race has been dominated by one horse in the last couple of years and I think it’s very likely said horse will stamp his authority on the contest again this time around. That’s of course BRANDO for Kevin Ryan, he’s won the last two renewals of this and looking at the strength in depth in the contest here or lack of it should we say I can’t see why he won’t go close again this time around. I put Equilateral up at Doncaster when he finished third last month in a Listed event, he could well come on for that and improve under Ryan Moore here. Yafta and Dreamfield look the other main dangers in the line up to the reigning champion. We move onto the feature of the meeting which is of course the Craven Stakes itself. A Group 3 race over a mile and turned out to be one of the form races of the season last year with subsequent Derby winner Masar claiming the race and one of the horses of the year Roaring Lion back in third. It remains to be seen whether there will be anything in the line up this time around that will live up to the level those pair set however we still look to have a very intriguing renewal. Royal Marine sets the standard at the top of the market for Saeed bin Suroor on the back of his exploits last season. I saw him win in France as well as Doncaster last term and he looked a very smart sort going forward with, he didn’t live up to expectations when last seen at Meydan however not all horses appreciate it over there. If back to last season’s form he’ll take some beating here under Christophe Soumillon. The boys in blue also have Zakouski here representing Charlie Appleby who’s very unexposed and looks to have bags of potential on the back of his maiden win back at Kempton in November. I’m taking the Godolphin pair on and doing so with the William Haggas trained SKARDU. He made a mighty impression here on debut last term and looks to be a potentially really smart horse. He’ll have to be though if he is to challenge the likes of proven Group 1 horses such as Royal Marine. The unbeaten Set Piece for Hugo Palmer also looks a nice sort, and is the mount of Frankie Dettori.